The rock quarry on John Bragg Highway as you enter Woodbury has become a point of contention for several Cannon County residents who believe the blasting is causing structural damage to their residences. Cannon County residents concerned about the effects blasting at a rock quarry on Bragg Highway is having on their property, as well as their way of life, voiced their worries during a community meeting at the Senior Citizens Center Tuesday (March 22). The quarry, located on John Bragg Highway just west of Woodbury, has been a point of contention for nearby residents who believe blasting has caused structural damage to their property. The business is owned and operated by Wells Group, Inc., whose headquarters are in Woodbury. More than 30 concerned residents attended the recent meeting to discuss what options the community has regarding the quarry. "The owner has been given at least one Notice of Violation," said organizer Don Bryan. "They were operating without a permit and they have no permit right now so they should not be operating. There is going to be a public meeting in the near future and they will try to get permits at this meeting. We have to band together and have people attend that public meeting and speak against the quarry." Opponents of the quarry point to a number of issues against it operating in Cannon County: dust, occasional siting of boulders left on Bragg Highway, mid-morning blasting, but the majority are concerned with the damage being caused to their property. Michael Vaughn represented Cannon Community Church, located across the street from the quarry. "We suspect we have damage due (to the blasting)," Vaughn said. "If there are many who join in then that is the answer we are looking for in this. We could not afford a huge cost and huge lawsuit to prove they did damage to our church. Those of us who own property and experience damage because of this should have options. There was no damage (to our church) prior to the blasting. We need some practical, real process." 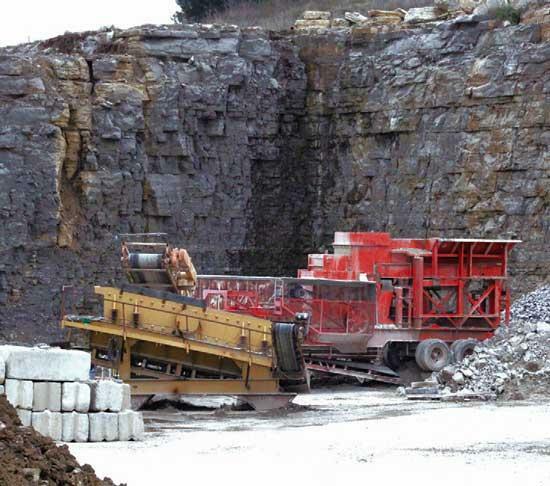 Opponents say the quarry is too close to residential property; however, lack of zoning laws in Cannon County does not prohibit operation at its present location. Faye Northcutt-Knox said the Tennessee Department of Transportation (TDOT) and the Environmental Agency had been contacted as the quarry also sits along Stones River. "Those organizations had people come up and they said no laws have been broken and they couldn't do anything right now," Northcutt-Knox said. "Until there is pollution or laws have been broken nothing can be done. We have to focus on what we can do at this point going forward." Cannon County resident Jim Sabia, whose property is located across the street from the quarry, said being upset is one thing, but finding answers to solutions was paramount. "I don't want to hear the noise, I don't want the dust, my house is being ruined," Sabia said. "If they have (or get) the proper permits then it sounds like our beef is with the county for allowing this to happen." Bob Stoetzel, a Cannon County Commissioner, said lack of zoning laws is the precise problem and why a business is allowed to operate a rock quarry in the first place. "We have to stand up and be counted at the Planning Commission," Stoetzel said. "The County Commission has instructed the Planning Commission to get us a zoning ordinance in the county and they have failed to do that for at least the last five years. "When the Planning Commission (meets) everybody needs to go there and tell them we need zoning laws as soon as we can get it. We really don't need a rock quarry across the street from one of our main tourist draws (Arts Center of Cannon County)." Stoetzel told those in attendance Planning Commission member Carey Hutchins brokered the deal that was initially expected to bring a concrete company to Cannon County. A snag in the partnership, according to Stoetzel, led to a rock quarry that has become an eyesore while also causing destruction to residential property in the surrounding area. "I have been trying to get zoning laws but you can't get it through the Planning Commission," Stoetzel said. Bryan said he will continue to organize community meetings to keep members informed leading to the public hearing. He said the date for that hearing has not yet been set.